The Mt. Hough shuttle picks up on Barlow rd. off Highway 70 just north of Quincy (Barlow rd. is across from the ranger station) Google Map link. NEW! Shuttle Service to the top of Mt. Hough! We are open, and running shuttles. Reserve a Mt. Hough shuttle space now! Shuttle space is limited. Advanced reservations are highly recommended. Schedule subject to change. Mt. Hough descent with BKXC! Mt. Hough is 12 miles and 3,800 vertical feet of descending. 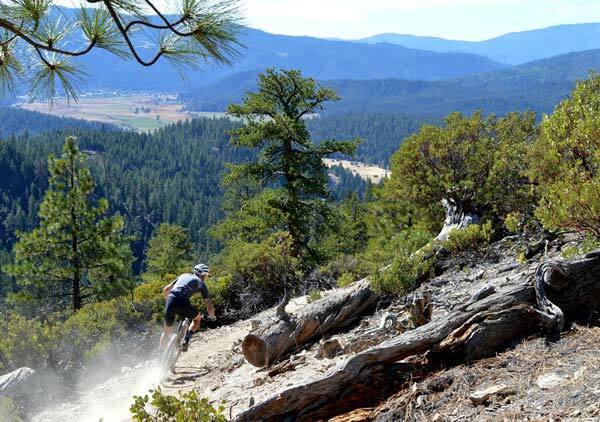 A fun, fast and smooth singletrack descent, Mount Hough is a great trail for all skill levels, from kids and beginners to seasoned veterans and has hardly any climbing. Mount Hough trail is the definition of the word 'flow'. 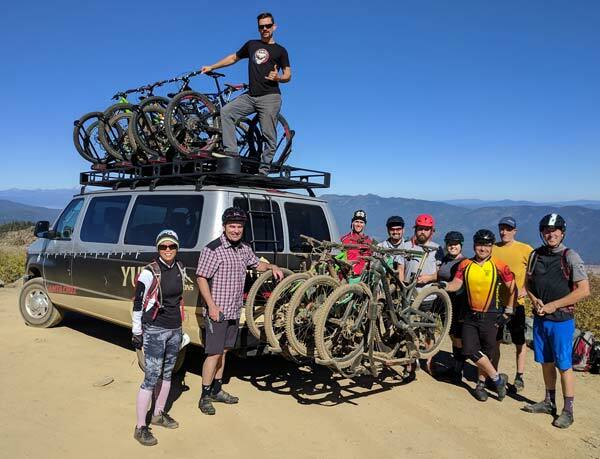 Yuba Expeditions is the pioneer of backcountry mountain biking in the Lost Sierra, and the first to offer trailhead transport in this part of the Sierra. 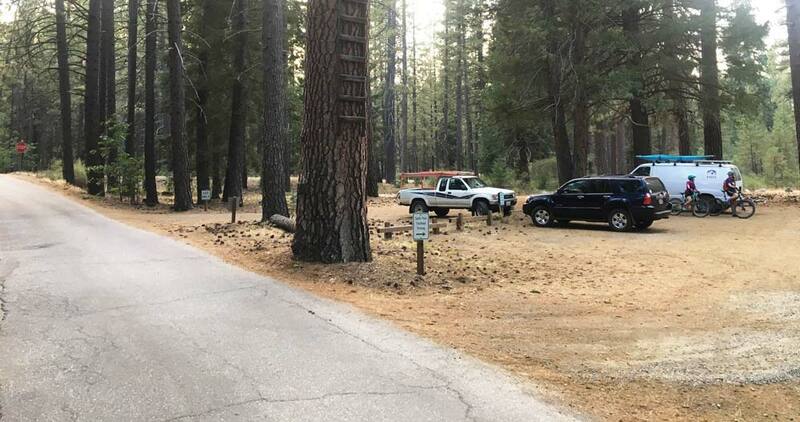 Our drivers are skilled and have knowledge of the surrounding trail system; and our vehicles are commercially insured, professionally tuned, and equipped with top of the line Thule racks. Yuba Expeditions is operating under Special Use Permit of the Tahoe National Forest, Yuba River Ranger District. Top of Mt.Hough at 7,200ft with Mt. Lassen in the background.